It’s tough relocating to a new area that you don’t know, even if you have visited, know you want to be there, maybe know people there, and have heard things about the area that appeal to you. Hopefully you are spending a lot of time researching online, too. Of course finding a house that meets your needs and budget is key, but I suspect for most buyers lifestyle and the community, are at the top of the list. If you are coming from a distance it can be a huge challenge searching for a home online, and the right community, since you can’t readily explore the areas that might work for you, your lifestyle and your budget when you find properties you like online. All that said, you will want to give careful thought to your lifestyle and what that really means for you, in addition to considering carefully what you really need in your new home. You can download 2 questionnaires on my website I think you will find helpful: “Buyers’ Lifestyle Questionnaire” and “What’s Important to You in Your Home Search.” These will help you think through some important issues, but if we work together also help me better understand your needs and concerns so I can assist you as best as possible in your relocation to my area. You might also want to check out my YouTube Channel video series (23 short 1 to 2 minute videos) on Home Buying Tips and Advice for information that will benefit you in your home purchase, even if you are an experienced buyer. The Internet is an amazing place to learn about houses, and different communities and neighborhoods. But in my professional opinion you really have to see, hear and touch the community as part of your home search to truly get a sense whether the community meets your lifestyle needs and feels comfortable. I think this is even more important when you are relocating to an area that is quite different from where you currently live. I know our relocation from the Boston area to Carlsbad 14 years ago was a real culture shock, even though we spent a lot of time exploring!! And I have relocated several other times as well. You can gain a pretty good sense of the communities you like for your new home from videos, aerial and street views on Google Earth or Google Maps, photos, and abundant blog articles. But I don’t think you can do better than driving through the neighborhoods of interest, taking a walk down the sidewalks, listening to the local noises, and checking out what amenities and services are nearby. I always recommend relocation clients spend time during their house hunting trip here to the Carlsbad area, driving around and exploring all they can see, hear and touch in the community to gain a real life glimpse at the lifestyle they would enjoy in the area. It’s NOT only about the house, and sometimes the neighborhood is the top priority! HERE’S HOW TO EXPLORE THE COMMUNITY! Check out nearby dining options, and do some tasting, too! Only then can you really know that the house (or houses) you like are in a community that appeals to you and will work for your lifestyle and needs. Why not give me a call at (760) 840-1360 so we can talk about your move, your needs, concerns and questions, and what I will do to help you in your relocation to Carlsbad or nearby, whether it’s now, in the near future, or down the road. Need some tips on relocating to the Carlsbad area? 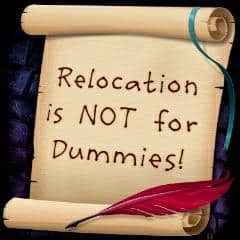 Check out my Relocation Tips and Advice video series playlist on my YouTube Channel. You can search the complete inventory of homes for sale in Carlsbad, and then check out other areas along the coast or further inland, too. I can also create a custom search for you based on your specific criteria and budget – call me at (760) 840-1360 to discuss!